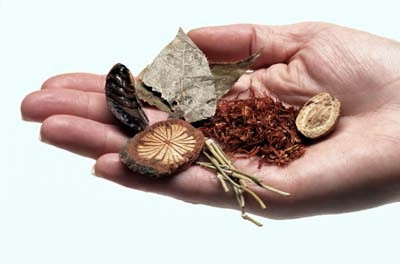 Healing from Within uses both Western and Chinese Herbal Medicine and Essential oils to support you on your healing path. Herbal Medicine and Essential Oil Therapy are effective ways to supplement your Acupuncture treatments and provide daily support for your healing process. Herbs and essential oils are chosen and tailored to the needs of each patient and can be used to treat both acute and chronic conditions. Herbs are commonly combined to create formulas based on the specific condition we are working with. Herbs come in many forms: tea pills (tiny herbal pills), granules (you add a certain amount to hot water for tea), tinctures (liquid extracts), raw herbs (boiled for tea), and topical applications such as essential oils. Each method works to help balance and support your body’s natural healing process.